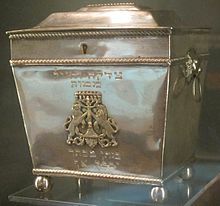 Tzedakah box (Pushke), Charleston, 1820, silver, National Museum of American Jewish History. “In lieu of…,” these lines often appear in obituaries and funeral programs, encouraging people to make donations to various charitable organizations in memory of the person who has died. In the Jewish tradition, we do not want to spend money on death and prefer to give money to the living or those in need. This doesn’t mean that there is anything wrong with the ways of others. The idea being that when you donate money to an organization in the name of someone no longer on this side of life, you enable them to still be doing a mitzvah (good deed/good work). I love this idea and regularly encourage folks to give in honor of one they are missing. This makes the act of suffering into an act of offering and giving. Even small amounts, a few dollars to a homeless shelter or a kid’s soccer team, the amount is not important. What is important is the act of giving in the memory of someone. Also traditional is to give on that person’s birthday or the anniversary of some special event for you and the person who is no longer present. This holiday season, consider giving “in lieu of” to a local non-profit organization. Instead of buying the person that already has everything a small gift, contributing instead to making someone’s life better in honor of the person they love is a great gift! I am a firm supporter of shopping locally and getting and giving gifts. I eschew large chain stores and endeavor to support all the local Arcata vendors and other smaller stores in our area; Northtown Books, The Garden Gate, and Belle Starr to name just a few. So, for the folks on your lists that need a gift or want one, by all means shop local, and get something for them. For folks who do not need another sweater, pair of earrings, or cute something or other, make a donation to a local organization in honor of them or in memory of a beloved person precious to both of you. This idea is not mine. The rabbis I know encourage us to put money in our Tzedakah boxes whenever we have a pleasurable experience, or hear good news, or before any joyful event. A Tzedakah box is a regular feature in any Jewish home or congregation. It is where you place coins, or bills and the money is given away to others in need anonymously. You get no credit and the person receiving has no idea which particular family or people put money in. It is traditional to put some money in the box before lighting candles for Shabbat or a holiday. We teach our children about this practice and most young folks have memories of making a Tzedakah box in religious school, or of seeing their cardboard or other media creation proudly displayed on their parents’ mantles long after they’ve left home. The box is not important, but the act of regularly depositing small change or larger bills into the box is. Tzedakah comes from the word Tzedek in Hebrew and has many meanings. It doesn’t mean charity even if it is most often translated that way. It is better translated and linked to the English word “justice.” Charity, connotes choice; when I have something left over to give I make a donation. Tzedek is an entirely different concept. We are instructed in the Torah to pursue justice all the days of our lives. The word used is Tzedek. The injustice and imbalances in the world are ours to fix, there are no ifs, ands or buts about this, once you accept the mantle of caring for the planet and those on it. 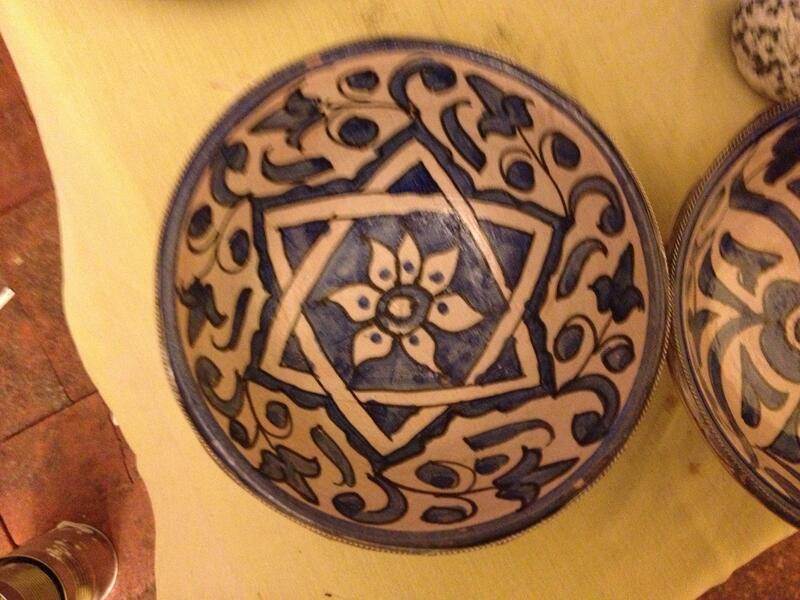 It is my job to fill the Tzedakah box and to pursue justice, yesterday, now and tomorrow. Even our final act as Jewish folks is supposed to be holding a coin and depositing it into a Tzedakah box as we chant a prayer. Dying consciously, for those who can, depositing/offering and continuing the work of helping to create justice in this world, doesn’t have to be a practice reserved just for moments of transition. As the rabbis suggest, make a donation when you hear good news from the doctor, or when you learn of a new birth, or if you have a particularly delicious kiss or encounter…Turn your joy and your love or your sadness or loss into goodness for others this season. Elevate your giving into the world beyond as well as making this one better. Nicole pursues justice, gives, thinks, shops, prays and loves locally and hopes you will do the same!